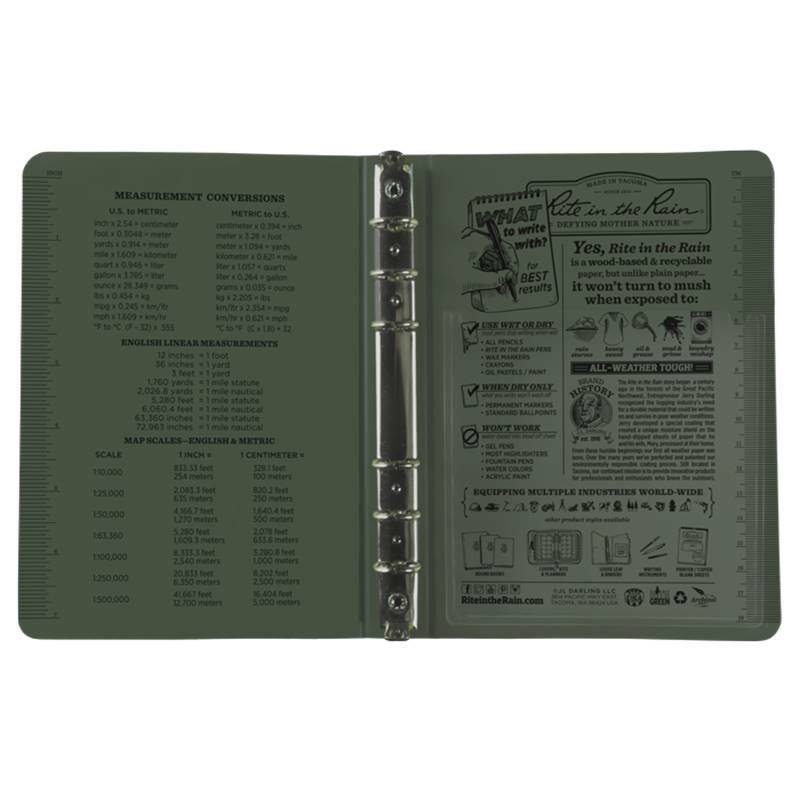 The Tactical Field Binder is made of tough Polydura and rust-proof metals. The 5 5/8 in x 7 1/2 in binder holds all Rite in the Rain Tactical Loose Leaf styles. Loose Leaf insert sheets sold separately. 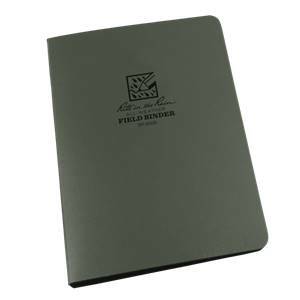 The holes fit the Franklin Covey "Compact" size punch.